From Granada TV (which produced gems such as Coronation Street and Brideshead Revisited) to Factory Records, its cultural output has been landscape-changing. It’s no surprise the BBC relocated there and Google opted to have its first regional office in the city. Gez O’Brien started his interactive content company, Stardotstar in 2001, with the intention, he says, of doing "less project rescue for our freelance clients and more and more bigger digital creative projects of the kind we yearned for." He says, "Although we were very aware of the usual design networks there were almost no real digital networks or hubs at the time. I think the first network thing we went to was a Wired City [collaborative networking events aimed at digital, creative and ICT]. That was a real eye opener to just how many people were suddenly out there." 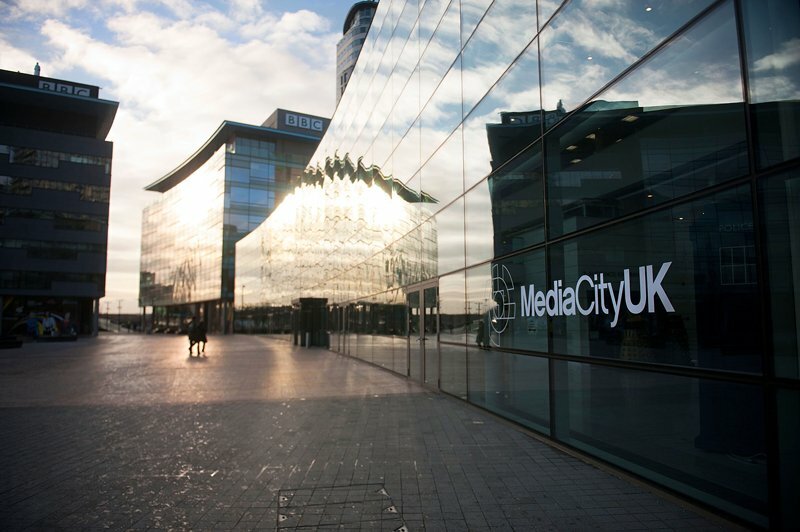 O’Brien says that MediaCity and the subsequent BBC move has enabled the BBC to act as capacity builder for digital and creative and helped attract and retain coder talent ("although it’s also done a great job of sucking that talent up too!"). StarDotStar has now produced a few BBC projects, including its two Junior Vets games and a BBC Taster, which has just gone live. O’Brien’s company is based in the creative focus of the city, the Northern Quarter. He says, "There are legions of great digital and creative companies to call on and that’s a real strength for the range of our diverse projects. Being in the same place is a real advantage in collaboration." Like most Manchester creatives, O’Brien doesn’t believe there is a creative capability gap but, he says, "as so much creative spend is London-based there can be a commissioning gap. But having the BBC up here, for instance, has certainly encouraged it to be spent regionally." Simon Wharton, of creative marketing agency PushOn, started his company in 2002 "in our back bedrooms". Though there are lots of creative companies competing in the same arena, Wharton says there’s a real spirit of collaboration. "There’s a lot of going out and drinking," he laughs. And, in line with Manchester’s go-getting reputation, Wharton says that there’s a self-organisational spirit about the place that has enabled it to prosper. "There’s a swagger about it like there was about the music scene. For example, we got tired of going to Manchester for conferences that weren’t that good," he says, "so a few years ago we set up SASCON [Search, Analytics and Social Conferences]. The first one was held at a local managed office space until it grew bigger and now it’s held at MMU, with people attending from all over Europe and speakers from all over the world." 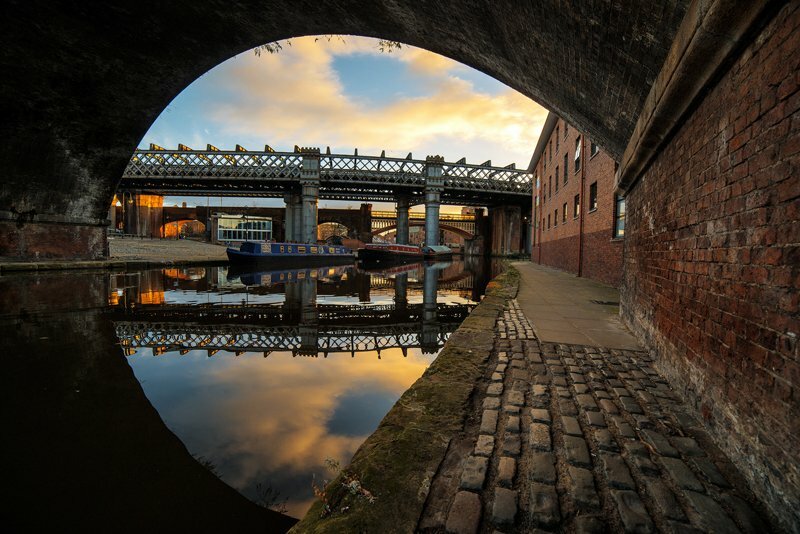 Manchester has led the future of innovation for over 200 years. Everyone organising it is in competition with each other commercially, says Wharton, "but we all play nicely for the common good." He adds, "It’s all about championing the skills we have here. There are loads of people around here who have been instrumental in making things happen and there’s a genuine communal effort that stands up to anything globally." And it’s no recent thing. The Manchester Craft & Design Centre, in a former glass-roofed fish market, has been home to many of the city’s artists, jewellers and artisans for the last 30 years, creative businesses that work with and for each other, running business development sessions and offering programmes and opportunities for emerging talent. Tim Newns is chief executive of MIDAS, Manchester's inward investment agency. He says, "Manchester has led the future of innovation for over 200 years. From the industrial revolution, through the development of the world’s first stored program computer, to the isolation of graphene. "Today, the creative and digital industry is growing faster here than anywhere else in the UK and will play a critical role in the future development of the city region." British Council for Offices’ (BCO) awards for the way in which it had created a business community. The Sharp Project itself came about from the creative industry banding together. In 2008, some of the biggest names in screenwriting, design, film and music came together to hold a 24-hour non-stop cultural debate in honour of Tony Wilson, the larger-than-life founder of Factory Records and the Hacienda who had died the year before. The event was designed to engage Manchester’s creative talent and spurred Sharp’s founders to get something done. Then there’s St John’s Quarter, a new cultural and innovation district, as well as an ever-increasing number of accelerators and incubators springing up in the city and its regions. It’s just what Manchester does, says Newns. He says it’s a "global disruptor, constantly investing in its creative future."